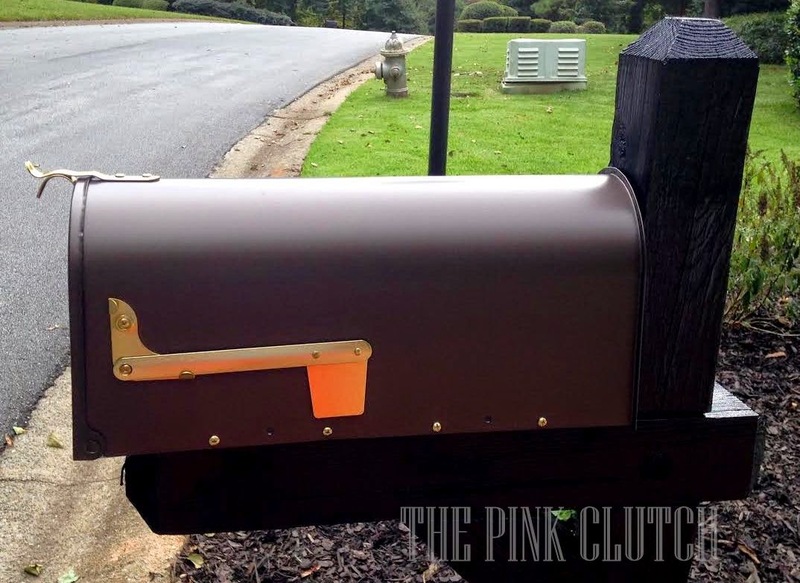 the pink clutch ...: Mailbox makeover!! 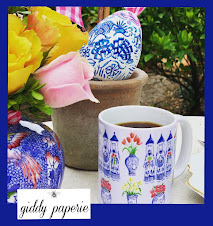 If you follow me on Instagram ... I posted a small version of this picture on Sunday. 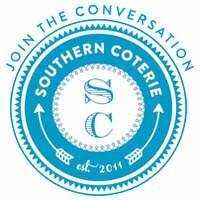 I was in the middle of tackling the bed at the mailbox area and chatting with the hubs about my plan to replace our mailbox. 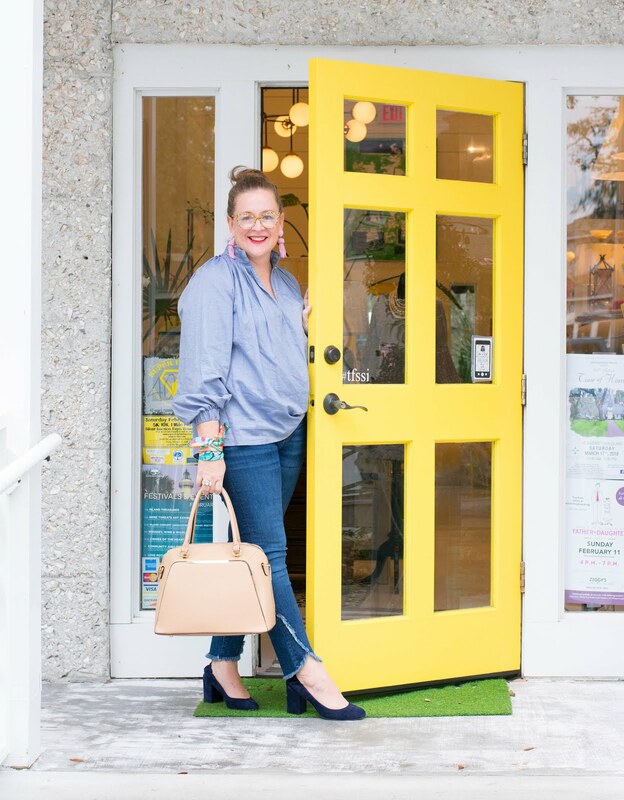 When I laid out my master plan for him and got to the amount it was going to cost (about $400) ... he stopped, looked at me and promptly said ... you are not spending that kind of money on a mailbox! 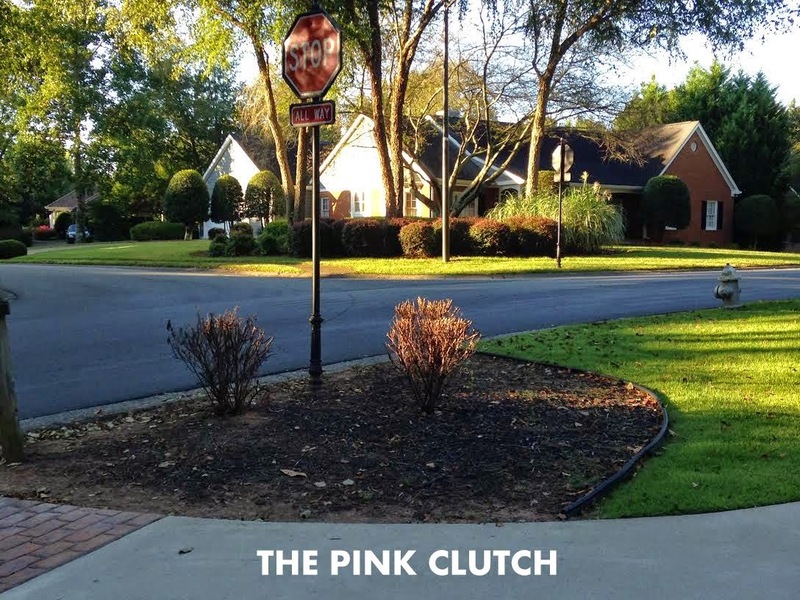 We live on a corner ... actually we live on the corner of a three way stop. So almost everyone in our neighborhood drives by our house. And our mailbox area just looked awful! Worse than awful ... down right embarrassing! 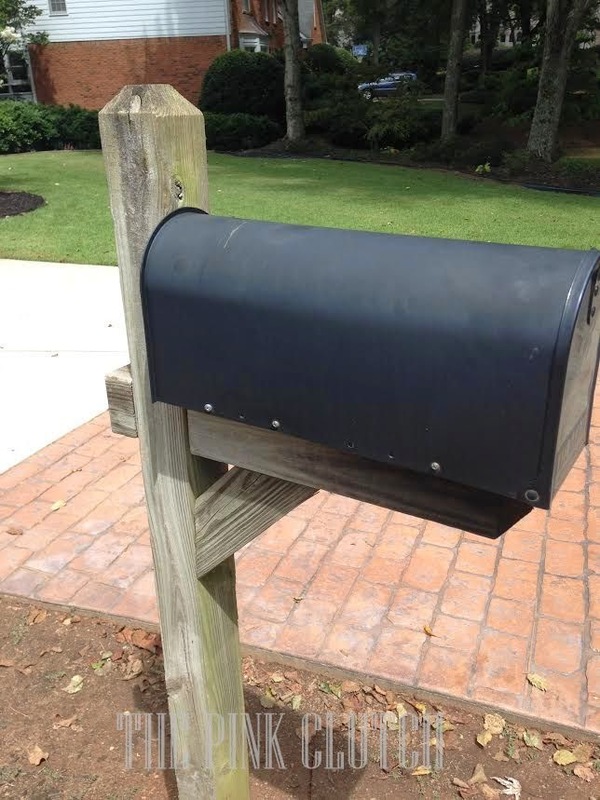 For some reason in this picture I cut out the mailbox but if you look closely you will notice that it is leaning. Pretty big lean actually. The wood post was green and the numbers on the post were jacked up. The 4 didn't match the 6's and was apparently days away from falling off. 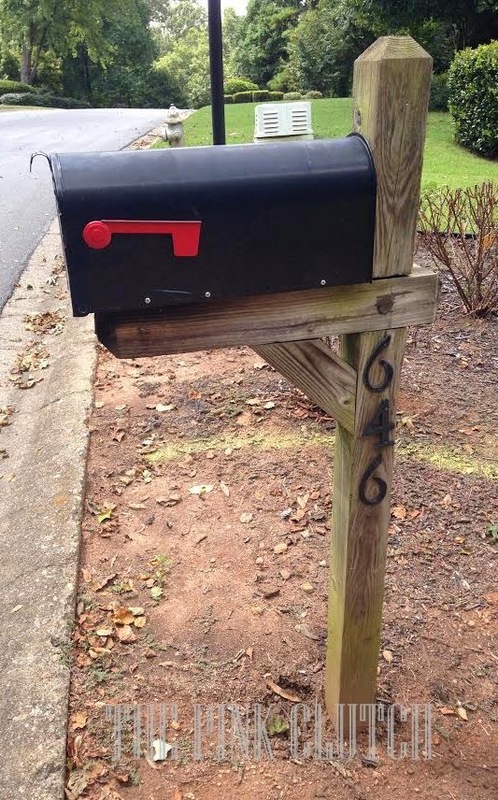 And the mailbox itself. Well, it wouldn't stay shut and the flag was bent. If was a truly sad little mailbox and it was in need of complete replacement in my opinion. And no, I didn't want to spend $400 either, but I couldn't find any other metal options for less. So after seeing me stand there and literally break down into tears, he decided to rescue me and the mailbox. First, he fixed the 4x4 so it would sit firmly in the ground and not move every single time you went to get something out of the mailbox. The photos above were taken after he straightened the post and truly I already loved it more than I had in 11 years. Then he suggested I paint the mailbox. Ok, this was brilliant. I took the mailbox off the post and when I did it occurred to me that not only could I touch up the mailbox, but I could paint the post!! That's when I got inspired! 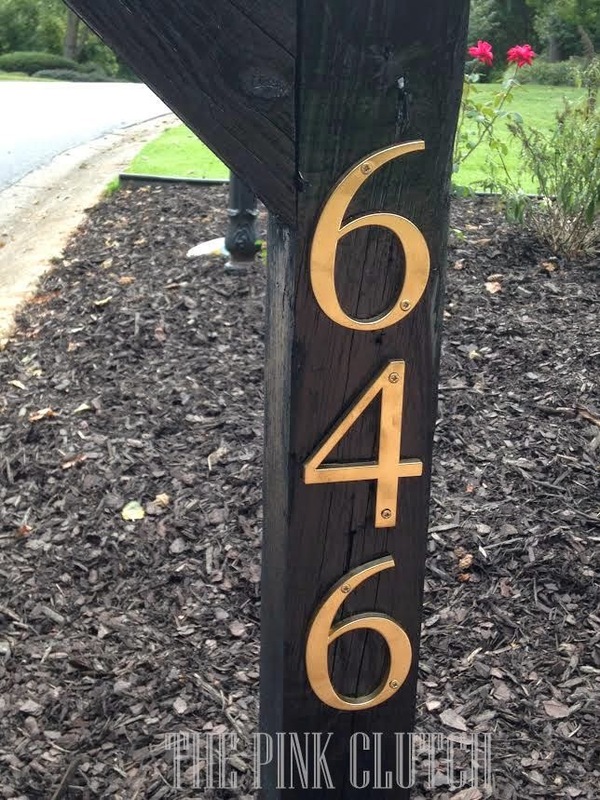 I put two coats of semi gloss black on the post and headed to Home Depot for new numbers to paint gold and add to the post! 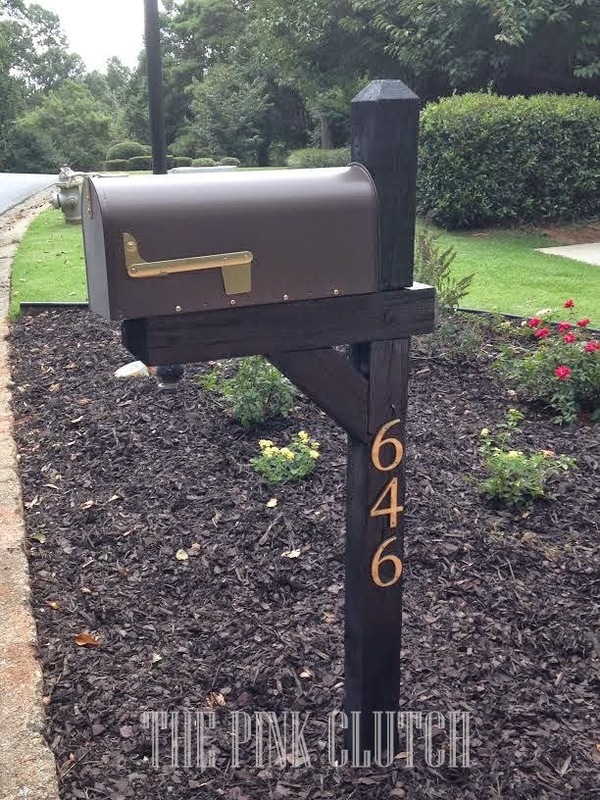 All in all in took three coats of Rustoleum Semi Gloss black to cover the mailbox post well and seal it properly! Once I added the numbers which I brought home and sprayed gold ... I was in love. 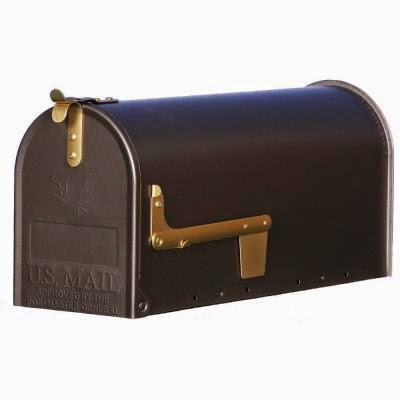 Hello perfect little brown and gold mailbox ... you were made for moi! 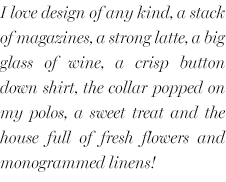 And at the perfect price of ... 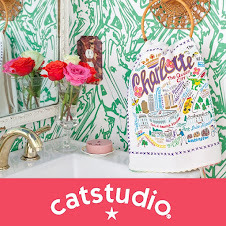 $29.97!!! I seriously almost skipped all the way home!!! I am just so happy with the result! Driving up now it makes me so happy to see our mailbox from down the street! 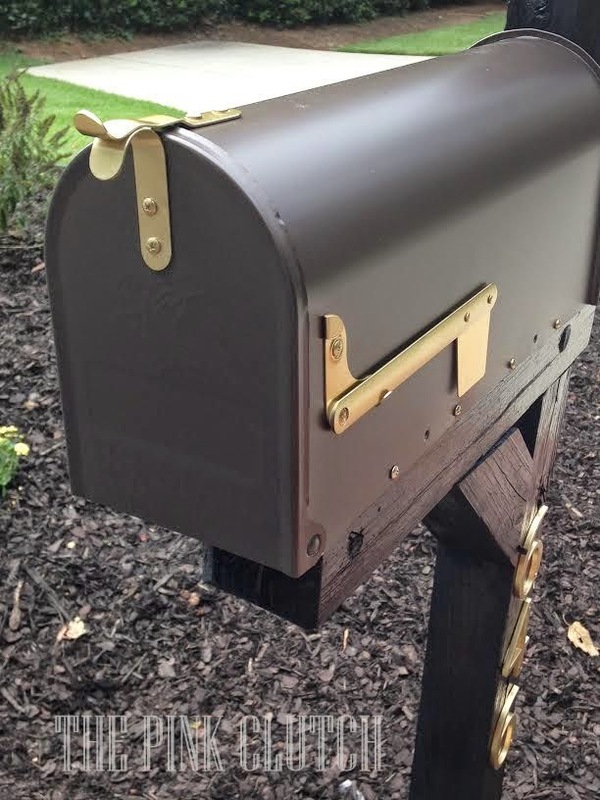 And I am so thrilled that Lawyer put his foot down and said no to my overpriced mailbox idea ... this one is so much better! And absolutely perfect for me! Looks awesome! We painted ours when we painted the house. Looks brand spanking new! Absolutely LOVE it! I have been not loving our mailbox recently too. 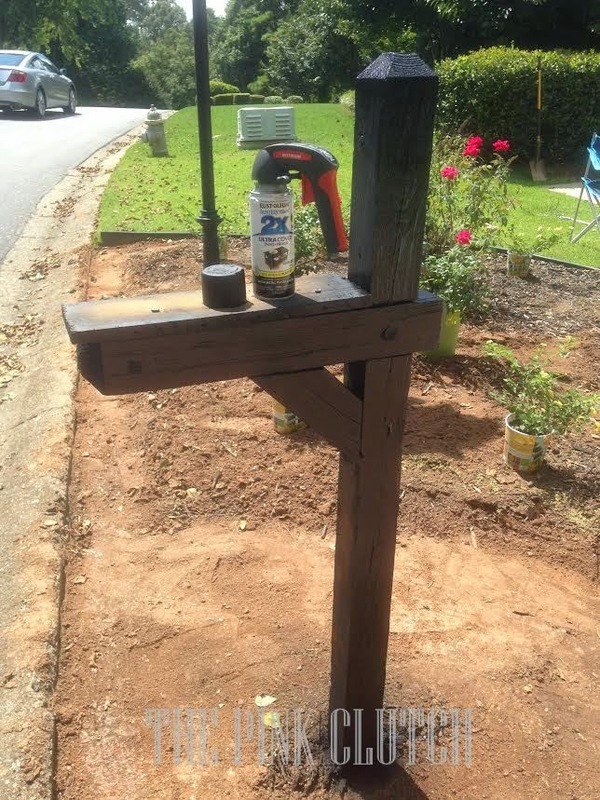 We have the exact same wooden post and I love the idea of painting it black instead of staining it. 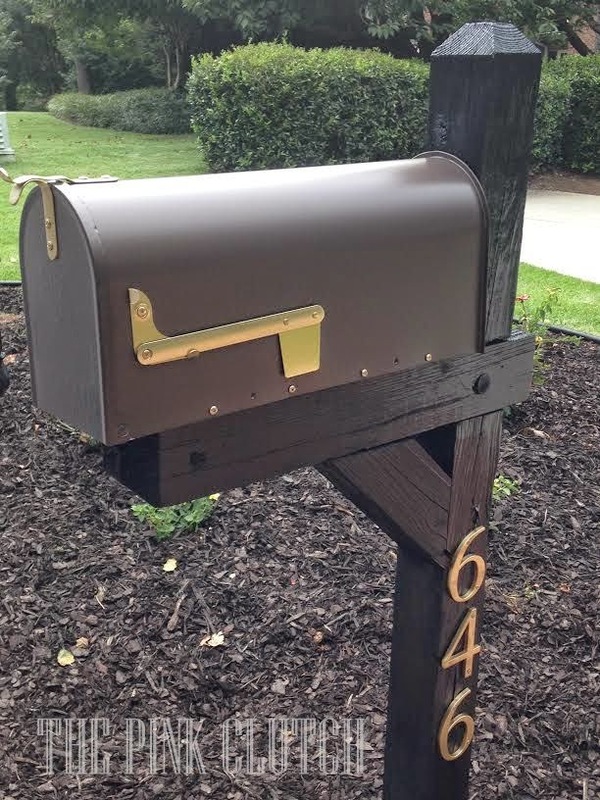 And, the new metal mailbox is perfect! Think I'll be heading to Home Depot soon :) Thanks for sharing. 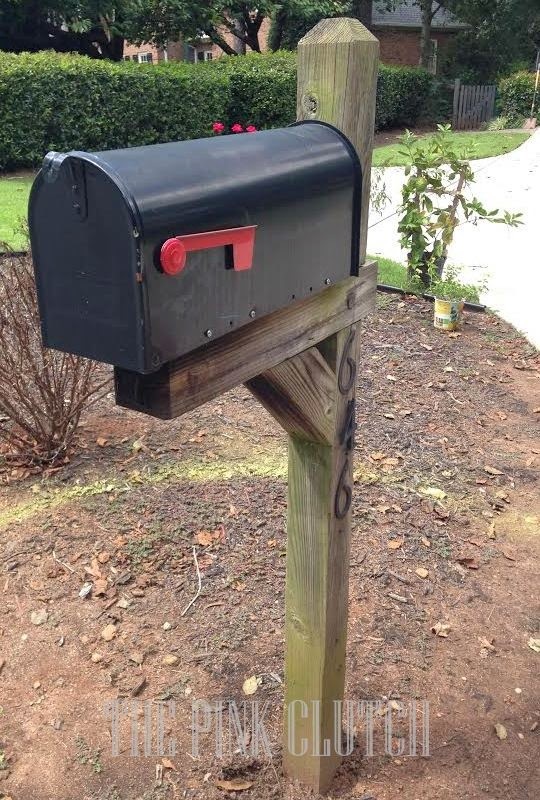 You were not alone in your leaning mailbox. Ours has been fixed 3xs but it still has major issues. And as for the mailbox, some drunken teenagers took a bat to it (and 5 others) NYE 4 years ago. Hubs pushed the dents out but it still shows the signs of damage. Someday we'll tackle it...baby steps. 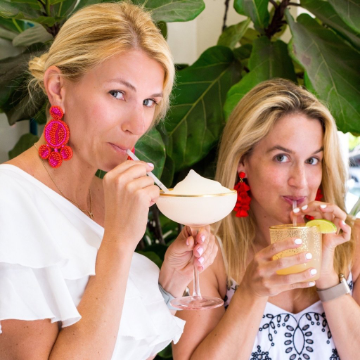 Yours looks fab!! !